The ongoing digital revolution has given birth to innumerable changes in communication, collaboration, knowledge sharing, and innovation. Technology is now a way of life, and certainly the United Nations’ Sustainable Development Goals cannot be achieved without technology. Technology has become a major driver for growth and development. It allows one individual to execute a task meant for 10 in an efficient and cost-effective manner. However, it comes with its own challenges, especially in the areas of access, adoption, and application. eHealth Africa (eHA) is committed to bridging the digital divide by promoting digital inclusion through her health intervention programs for vulnerable communities across Africa. eHA implements interventions that not only improve the work performance of health workers but also their digital skills with new trends and technology that prepare them for today and the future. While creating solutions, workers are educated on new and emerging technologies that create opportunities and make them more efficient in their jobs. 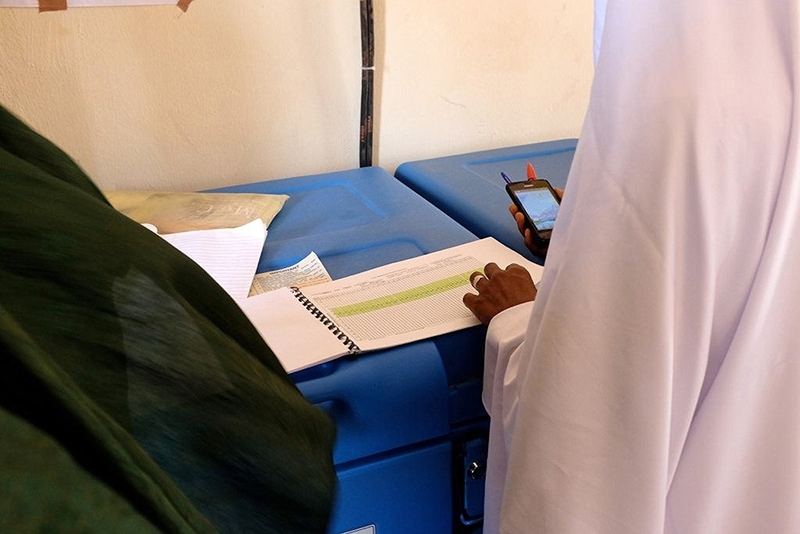 Several technology-driven projects like AVADAR, eIDSR, Kano Connect, et al., provide digital opportunities for health workers even at the last-mile to be relevant in this digital age. These projects address issues surrounding free access to technologies as eHA, through donors and support from implementing partners, provides hardware, software, high-speed internet connectivity, and access to a range of relevant work content. Our programs and projects provide digital literacy services that assist health workers to navigate, understand, and evaluate their work through consistent training. They also promote collaboration and communication by leveraging new media tools and encouraging self-exploration; making it possible for workers to explore digital resources on their own. 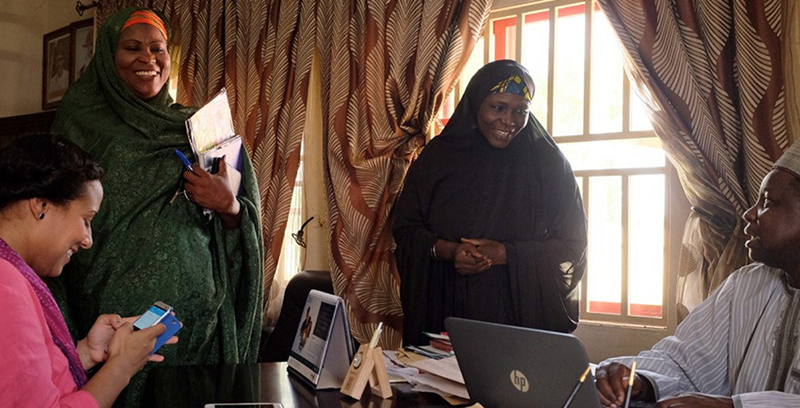 The Kano Connect project, for instance, has promoted digital inclusion by creating access to, adoption, and application of technology for work. 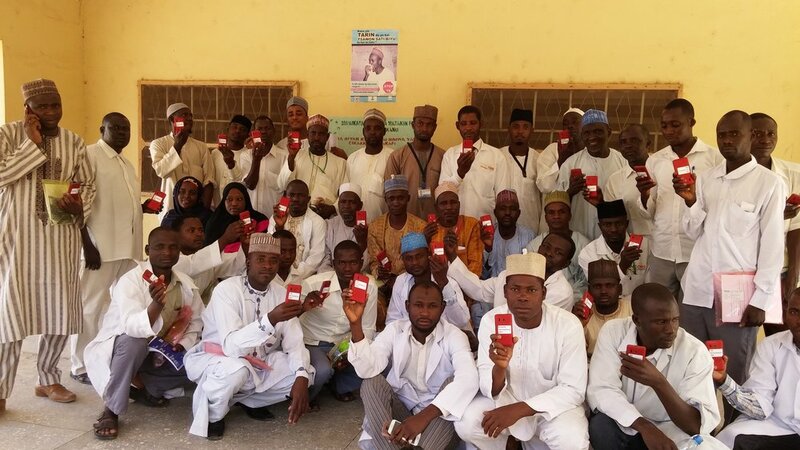 To engender access, the Kano Connect project provided 1,416 phones and 100 free SMS within a Closed User Group (CUG). It also provided a zero-rated data access (250mb) for job related data-driven applications on the Kano Connect infrastructure. In the area of adoption, the project provided digital literacy services for health workers - 1,416 health workers were trained across all levels (State, Zone, and LGA) in the Kano State Primary Health Care Management Board (KSPHCMB). At eHA, we work on solving big problems. We believe in the power of technology to make a transformational difference in health systems, and we know that when we do high-quality work, we have the opportunity to change lives in the communities we impact. Sign-up for our newsletter today and get all the latest information on what's happening at eHA. In 2016, eHA seeks to continue discovering and designing strategies and solutions to deliver healthcare to some of the hardest to reach areas in Africa. To design and create the right technology and information tools for health workers, the software and hardware must be developed and chosen to address the obstacles and needs of healthcare workers where they work and in the conditions they face. Lucy Chambers is the eHA team member working on Kano Connect, based in Kano State, Nigeria. Kano Connect increases health worker communications, provides an mHealth platform for key reporting activities in supervision for routine immunizations, a vaccine supply management application, and a closed user group for health professionals to send and receive alerts and enable discussions. Lucy’s work also takes her to Nigeria’s capital, Abuja, as she works with team members on the a dashboard for program analysis in the Polio Emergency Operations Center (Polio EOC) and the Vaccine Stock Performance Management Dashboard with the team at the Department of Logistics and Health Commodities. Lucy has experienced the benefits of being in the field, and seeing firsthand what healthcare workers face with regards to the technology they use. Here are a few tips she has to keep in mind when creating programs for healthcare workers in the field. 1. Hard to reach means 'really, really hard to reach' by European standards. In many projects around Nigeria, you will see the category 'Hard to Reach' (HTR). Even if you have to go on a motorbike to get to a settlement nearby, it’s still not hard to reach by African standards. If you hear HTR in Africa, think boats or helicopters. Think riding as far as you can in a car before you run out of roads, followed by a motorbike trip, followed by a boat trip across a large river, and then a long walk to finally reach the settlement. At that point, you can say you’ve reached a truly Hard To Reach settlement. You can never make assumptions about any infrastructure that these settlements have which makes having people on the ground to test on site essential to any requirements gathering. 2. One of the most common things you have to design and plan for is competing priorities. Health workers are working hard in the field and are pulled in many different directions, and are required to multi-task and prioritize while working with a great deal of autonomy. With these amounts of competing priorities, it’s crucial that the tech tools we create truly save time and that health workers can see the benefits of their work in real-time. With programs like the Vaccine Stock Performance Dashboard coming online, the health worker can refer to it for logistics, prioritization, and to ultimately save time. "...it’s crucial that the tech tools we create truly save time and that health workers can see the benefits of their work in real-time." 3. If you are making a dashboard, make it highly screenshotable. Data and information from health applications must have more than just the health worker as a potential audience. Screenshots are often used to add to presentations and trainings at the local EOC (Emergency Operations Center). It is important that all the info needed can be displayed on the screen as is not cut off, and that it appears clear to the eye from far away. That means color combinations must make information legible for not only mobile phones and tablet screens, but also for large conference room screens and slide decks.